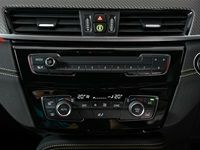 BMW has introduced the newest addition to its X series, the X2, in South Africa. The M Sport and M Sport X - which it comes with standard 19-inch wheels - are the only packages to be offered locally. 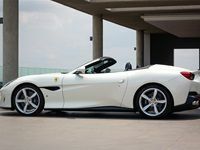 Ferrari has unveiled its Portofino in South Africa. According to Ferrari, the new model can convert from a 'berlinetta' coupé to a drop-top in 14 seconds. 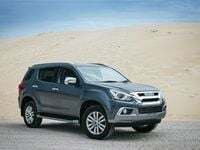 Isuzu Motors South Africa intends on entering the sports utility vehicle (SUV) market in sub-Saharan Africa with the launch of its Isuzu mu-X. 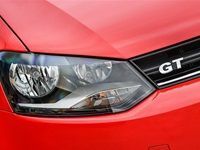 Volkswagen has introduced the market to its brand new version of the Polo Vivo. The new Polo Vivo is also offered in a hatch body version and comes with a range of new gizmos and gadgets. 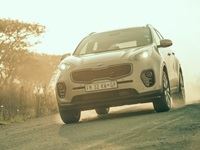 Jaguar's new E-Pace will be available in South Africa on 9 March 2018. 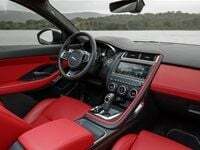 The new vehicle is designed to combine the performance of a Jaguar sports car with the spaciousness and practicality of an all-wheel-drive vehicle. 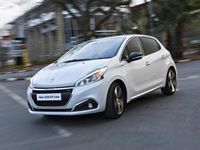 Peugeot has unveiled its new 208 GT-Line. The car's new additions include new headlights with black and chrome elements, LED daytime running lights, repositioned fog lamps, a special 'equaliser' grille with red detailing, a gloss black finish for the grille surround, fog lamp finishers and exterior mirror housings, and 17'' Caesium alloy wheels. 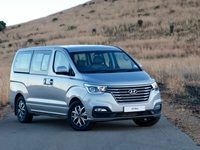 The KIA team, together with 520 test drivers selected from more than 30,000 entries set the record for the World's Longest Test Drive Relay on 20 October 2016.